Michael Massiah was appointed Chief Diversity & Inclusion Officer for the Port Authority in December 2017. In this position, Mr. Massiah works closely with the Executive Director to assure the values of diversity and inclusion receive the highest respect across the agency and that these values are put into action within the workforce and in its business affairs. Prior to this appointment, over a 36-year period, Mr. Massiah worked in progressively more responsible roles within the agency, holding key positions such as: Director, Human Resources Department (HRD), where he led efforts to rebuild the agency’s human resources functions following the 9/11 attacks on the World Trade Center; Director of the Office of Organizational Effectiveness and Change Management (OECM), implementing over $150 million of cost efficiencies throughout the agency; Director, Management and Budget Department (MBD), focusing on developing the agency’s capital and operating budgets (over $7 billion in 2014), cost control strategies, and continuous improvement through program review and evaluation; and Chief, Capital Planning, Execution & Asset Management focusing on planning a $32 Billion ten-year capital plan, and managing a Project Management Office, World Trade Center Department, Office of Business Diversity & Civil Rights, Planning and Regional Development and Environmental Policy and Energy Programs. In addition to his work experience, Mr. Massiah holds a bachelor’s degree in History and Education from Le Moyne College and a Masters in Public Administration, with a concentration in Urban Management, from the State University of New York – Albany, and is a Fellow at the National Academy of Public Administration (NAPA). As a NAPA Fellow, Mr. Massiah served on two Academy panels that reviewed the viability of The Defense Civilian Intelligence Personnel System. Mr. Massiah serves on various professional committees including: The National Association of Schools of Public Affairs and Administration (NASPAA) – Commission on Peer Review and Accreditation; the American Society of Public Administration (ASPA) – Audit Committee; John Jay College’s Master of Public Administration Advisory Board; the Myrtle Avenue Revitalization Project – Audit Committee Chair; past President of the Conference of Minority Public Administrators (COMPA). In addition, Mr. Massiah teaches graduate courses in Management and Human Resources at John Jay College and Baruch College. Further, Mr. Massiah co-authored a keynote article for The Newsletter for the Section on Personnel Administration and Labor Relations of the American Society for Public Administration entitled “Making Sense of the Executive Selection Process” – (Fall 2006). Mr. Massiah’s involvement with his Catholic community involves; Trustee and Finance Committee Member of St. Martin de Pores Parish in Bedford Stuyvesant, Brooklyn; Board Member of the Catholic Foundation for Brooklyn and Queens; and former Board Member and Governance Chair of the Diocese of Brooklyn Education Commission. Further, Mr. Massiah is a former president of Our Lady of Victory’s Holy Name Society, former member of St. Martin de Pores transition team, former OLV Parish Council Member and former Religious Education teacher at OLV. 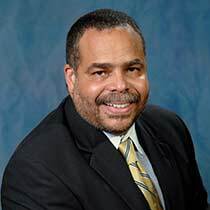 He also is a Board Member of LeMoyne College’s Board of Regents, Syracuse N.Y.
Mr. Massiah is a long time resident of Bedford Stuyvesant, and is married to Magalie and has three children Danielle, Monique and Julian. Danielle is married to Andre Bierzynski and resides in Washington, D.C. They have a daughter, Aria.